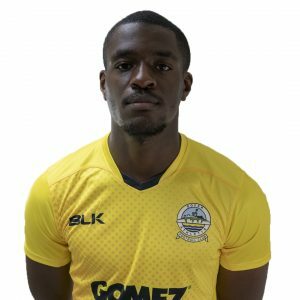 Tobi Sho-Silva’s last-gasp winner saw Dover win 2-1 at FC Halifax Town and maintain their 100% winning record on the road this season. 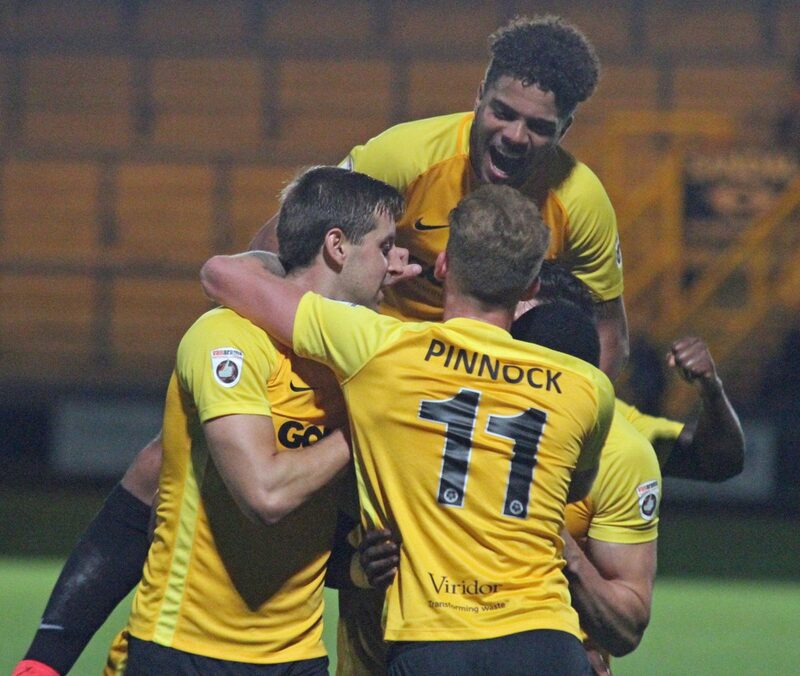 The forward pounced on Connor Essam’s header into the area following substitute Mitch Pinnock’s deep corner as Dover won at the MBi Shay Stadium for the first time in three attempts. 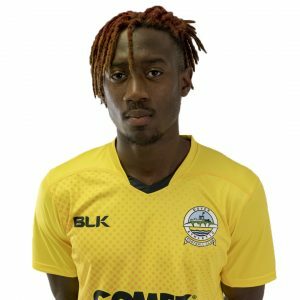 It looked like the match would end in a draw after Tom Denton netted in the 90th minute to cancel out Mitch Brundle’s header four minutes earlier, but Sho-Silva struck his first league goal of the campaign to take all three points back to Kent. Whites were almost ahead early on. Defender Giancarlo Gallifuoco flashed a volley just wide from Brundle’s low corner. Home keeper Sam Johnson seemed to be caught cold by Femi Ilesanmi’s cross two minutes later, but the ball narrowly missed the target. The home side’s first effort came courtesy of Matty Kosylo. The midfielder collected Cliff Moyo’s pass and fired a sighter narrowly over. The Shaymen went even closer at the midway point of the first half. Josh Wilde’s dangerous cross was met by Denton, but Manny Parry was able to track back and nod the lanky striker’s looping header off the line. The best chance of the half fell for Athletic. Brundle’s free kick was cleared to Nortei Nortey, who delivered a clever through ball to Jamie Allen in space, but the forward could not force the ball past Johnson from an angle. Allen was also unable to flick Femi Ilesanmi’s drive goalwards following Ryan Bird’s lay-off as both sides went into the break without scoring. Sam Johnson was called into action shortly after the restart, finger-tipping Allen’s curling effort from outside the area onto the bar. The pacy striker was in the thick of things again minutes later, hitting the stanction with a 25-yard strike. Kosylo collected Sub Josh MacDonald’s low cross and fired goalwards, but Brundle was back in time to stop the ball on the goal line and clear the danger. Allen struck the woodwork a second time with twenty minutes left on the clock. Brundle’s corner caused mayhem in the box and the attacker fired against the woodwork from six yards. Home dangerman Kosylo continued to cause problems for the home defence, evading the attentions of Josh Passley and firing just wide. The same player then volleyed Connor Oliver’s corner the same side of the left-hand post moments later. Midfielder Brundle appeared to win the game in the 86th minute. A lightning counter attack ended with Dover’s skipper heading in Allen’s pinpoint cross in spite of Johnson’s best efforts to claw the ball away. Oliver’s cross had missed every player in a blue shirt at the other end of the pitch seconds earlier. But Halifax levelled one minute into injury time as Denton powered home Wilde’s lofted ball into the box. However it was Dover and Sho-Silva who had the final say with the last kick of the game to send the 32 travelling fans who made the trip to West Yorkshire wild. Earlier, manager Chris Kinnear named an unchanged side for the fourth match running, with no changes on the bench either. The win sees Dover move up one place in the ladder to third and they face Barrow at Crabble this coming Saturday. Kick off 3pm. Halifax: Johnson, Moyo, Wilde, Brown (c), Garner, Kosylo, Denton, Oliver, Lynch, Dixon (Morgan 59), Charles (MacDonald 45). Subs not used: McManus, Nicholson, Tomlinson. Dover: Walker, Passley, Parry, Essam, Gallifuoco, Ilesanmi, Brundle, Nortey (Pinnock 77), Richards (Daniel 75), Allen, Bird (Sho-Silva 66).